Turkish delight is something I’ve come to love over the last few years. I didn’t like it as a kid, I think because my only experience of it was biting into the last chocolates left in the Roses Chocolate box or the bars of chocolate coated turkish delight. Now I’ve come to see it as the treat used by the White Witch to tempt Edmund in The Lion the Witch & the Wardrobe…. ie tempting! Generally I tend to buy it at Christmas time to put in my rocky road, but I gave into temptation recently and had a container beckoning me in the fridge. I had been looking for inspiration on Pinterest for turkish delight desserts as my husband is currently chocolate free, I had the turkish delight in the fridge and we had friends coming for dinner. Not only did Pinterest inspire me to cook, it inspired me to try hard to make it look pretty too. This dessert is so feminine and delicate that it would be very suited to a ladies lunch or high tea. But don’t be put off if you want men to eat it too as my husband was raving about it (even though declaring that turkish delight is usually too sweet for him). The strawberries in the ice cream really tones down the sweetness of the custard. 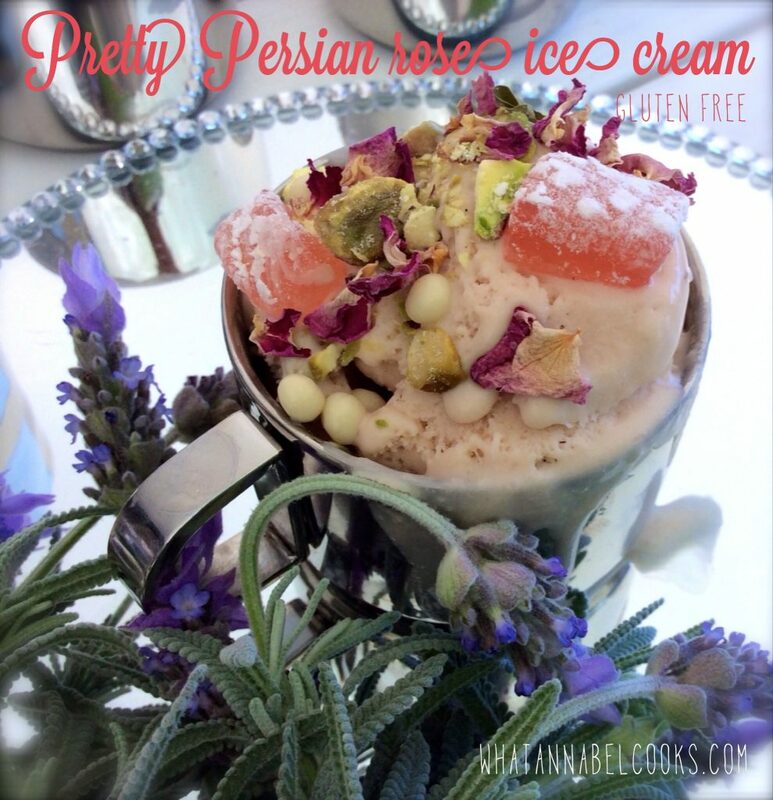 So, with fresh inspiration added to a basic vanilla ice cream recipe, may I present my Pretty Persian rose ice cream. 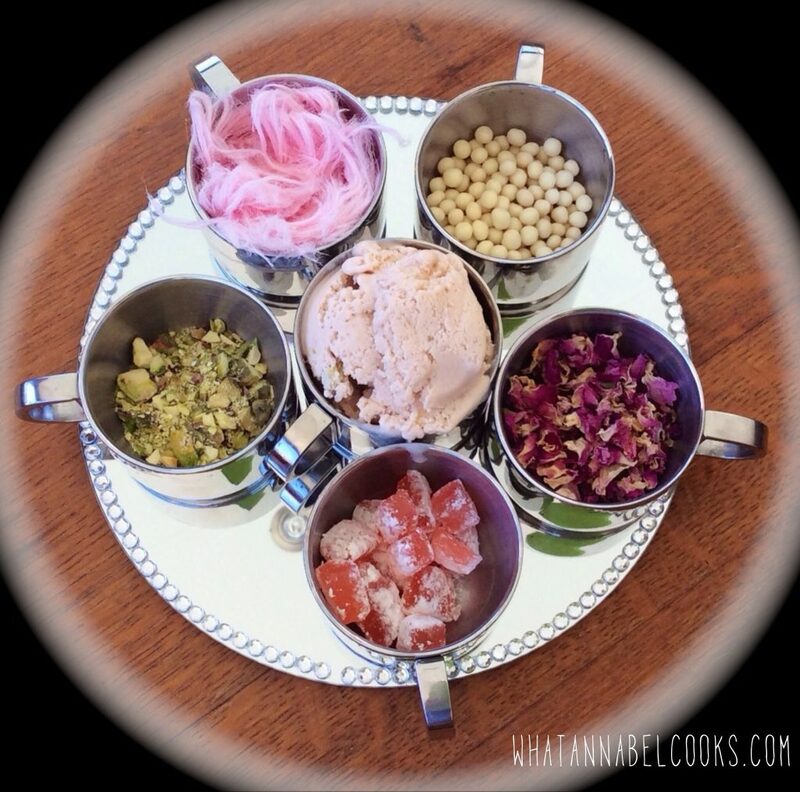 pretty things to decorate eg more diced turkish delight, dried rose petals, silver or other coloured cashous, Persian fairy floss (though check it’s GF), finely chopped pistachios. Whisk together milk, cream, half the sugar, salt and vanilla in a medium saucepan over a medium heat and bring almost to the boil. Meanwhile whisk (it’s easier with a hand held mixer) the egg yolks and remaining sugar until thickened and pale. When the milk mixture is hot, whisk a ladle full into the egg mix and then repeat with another ladle or 2. Pour egg mix into milk mix and stir continuously over medium heat with a wooden spoon until thickened and coats the back of the spoon. DON’T let it come to the boil or it will cook the egg and the mix will curdle. Stir in rosewater to taste (depending on how strong a rosewater taste you like). Pour into container and refrigerate for at least 2 hours or overnight. 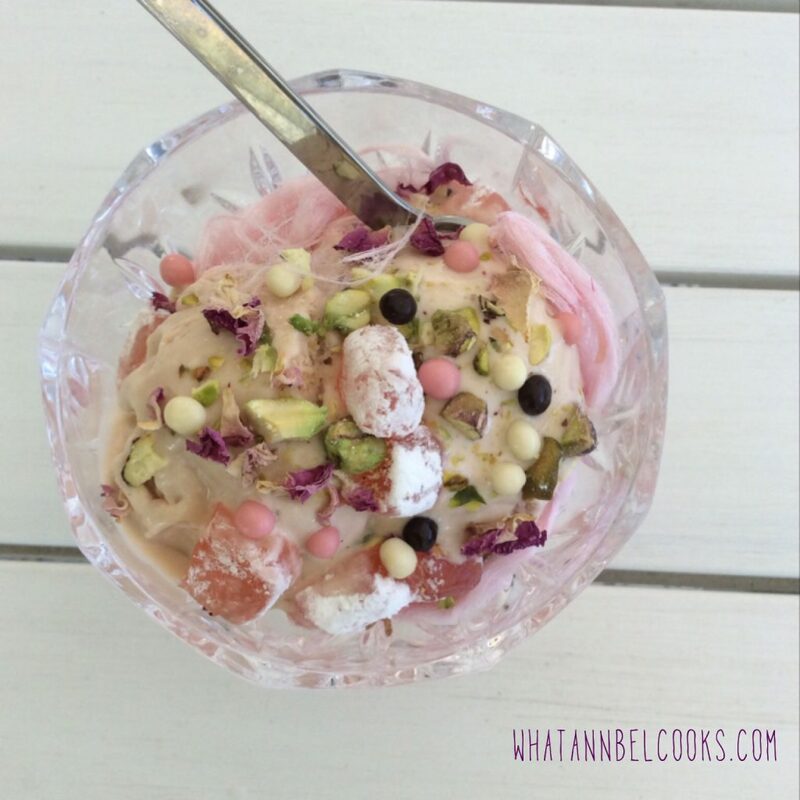 Just before pouring into your ice cream machine, stir through pistachios and turkish delight cubes. 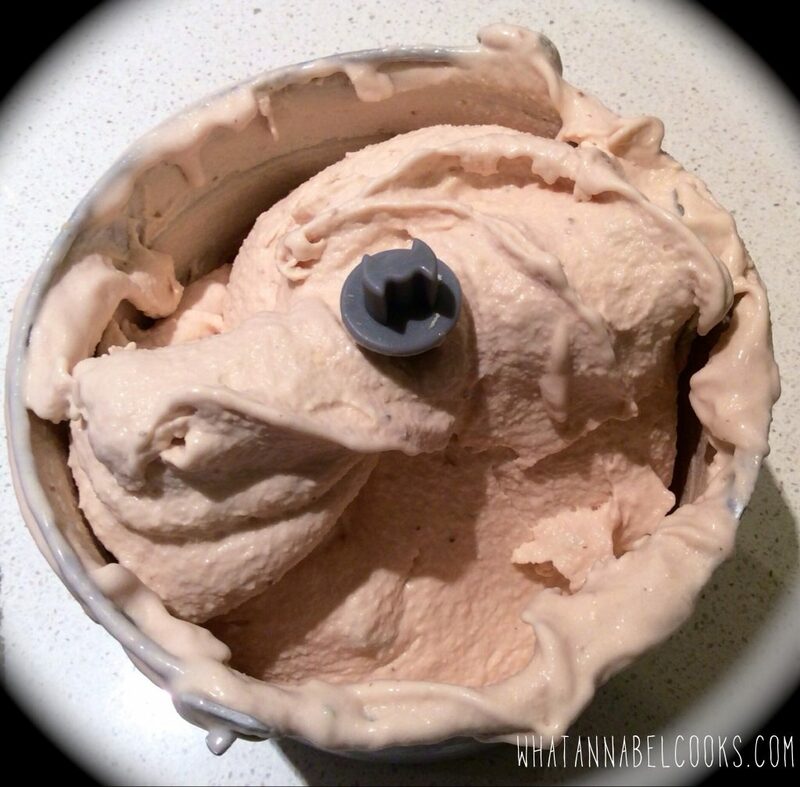 Churn and serve immediately or place in freezer until you wish to serve. To serve, scoop ice cream into bowl and decorate creatively, or you could put the decorations in little bowls and have your guests decorate their own.